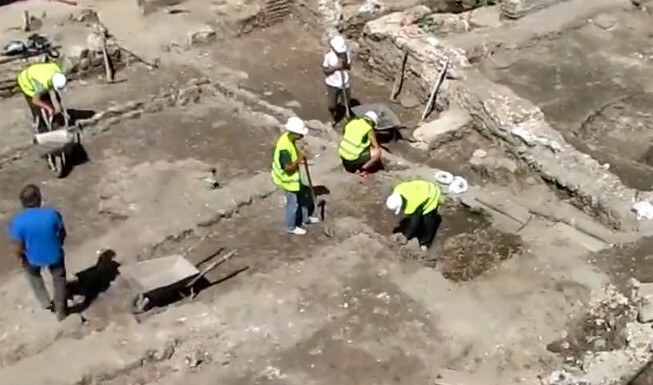 A team of Bulgarian archaeologists is going to excavate the parking lot of a five-star hotel in downtown Sofia in search for the Roman forum of the Ancient Thracian and Roman city of Serdica. The excavations, which will take place between June 15 and August 31, 2015, will be conducted by archaeologists from Sofia Municipality and the National Institute and Museum of Archaeology of the Bulgarian Academy of Sciences, according to Nadezhda Kirova, Director of the Museum of Sofia’s History, as cited by the Presa daily. The archaeologists are going to excavate the northern part of the square next to the St. Nedelya (“Holy Sunday") Cathedral which is now the parking lot of the five-star Sofia Hotel Balkan (formerly the Sofia Sheraton). The parking lot will be closed for two-and-a-half months during the digs. “The excavations will be carried out through partial unearthing of the terrain and drills in order to establish the depth of the archaeological layers," Kirova is quoted as saying. The Bulgarian archaeologists have hypothesized that the ground below the St. Nedelya Square might hide the palace of Roman Emperor Constantine the Great (r. 306-337 AD) who is known to have said, “Serdica is my Rome". 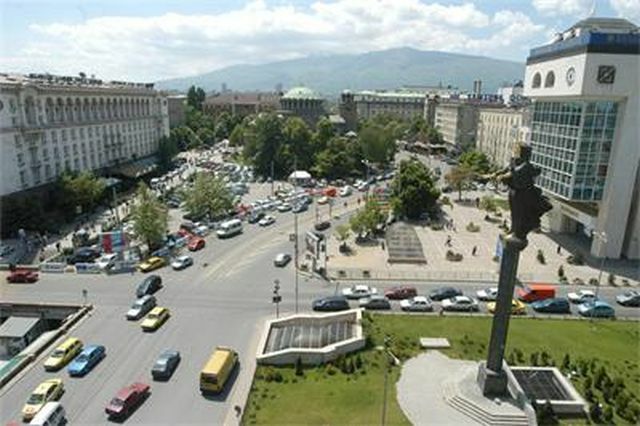 Emperor Constantine, who was a native of Nis in today’s Serbia, is known to have considered Serdica, today’s Bulgarian capital Sofia, as a possible place for relocating the capital of the Roman Empire before he chose Constantinople. The archaeologists believe that ruins of Emperor Constantine’s palace might be found in the southern part of the St. Nedelya Square, and part of the palace might even lie under the St. Nedelya Cathedral. The search for the Roman Forum (public square) of ancient Serdica will be funded with BGN 133,000 (app. EUR 68,000) by Sofia Municipality. The excavations will be led by Assist. Prof. Dr. Mario Ivanov from the National Institute and Museum of Archaeology of the Bulgarian Academy of Sciences. It is possible that in addition to the Roman Forum, the ground under the St. Nedelya Square might also harbor the ruins of the Roman praetorium and mint of Serdica. If the archaeologists indeed discover all or any of these structures, Sofia Municipality intends to rehabilitate the St. Nedelya Square exhibiting at least some of the finds in situ, and linking the square to the ruins of Ancient Serdica under the Sofia Largo located right nearby. Archaeologist Mario Ivanov was also in charge of the rescue excavations of ancient Serdica conducted in 2009-2010 during the construction of the Second Line of the Sofia Metro whose discoveries are yet to be exhibited in an open-air museum with the completion of the reconstruction project for the so called Sofia Largo expected in the fall of 2015. In March 2015, Deputy Mayor of Sofia Todor Chobanov announced that in addition to the Sofia Largo project Sofia Municipality also planned to excavate and exhibit in situ the Western Gate of Ancient Serdica and the mosaics inside the St. Sofia Basilica. The Ancient Thracian and Roman city of Serdica is the precursor of the contemporary Bulgarian capital Sofia. The oldest traces of civilized life in Sofia are from a Neolithic settlement dated back to 5000 BC located in today’s Slatina Quarter. There are also traces of life from the Charcolithic (also known as Aeneolithic or Copper Age) and the Bronze Age. After the Bronze Age the Sofia Valley was inhabited by the Ancient Thracian tribe serdi (some believe them to have been a Celtic tribe) which gave the name to the Ancient Thracian settlement called Serdica or Sardica. The city of Serdica was conquered briefly in the 4th century BC by Philip II of Macedon and his son Alexander the Great. Around 29 BC, Sofia was conquered by the Romans and renamed Ulpia Serdica. It became a municipium, the center of an administrative region, during the reign of Emperor Trajan (r. 98-117), and saw extensive development with many new buildings. It is known to have been the favorite place of Roman Emperor Constantine I the Great who used to say, “Serdica is my Rome". In 343 AD, the Council of Serdica was held in the city, in the 4th century church that preceded the current 6th century St. Sofia Basilica. In 447 AD, the city was destroyed by the Huns. During the reign of Byzantine Emperor Justinian I (r. 527-565 AD), a new fortress wall was built whose remains have been excavated and can be seen today. This is when it was renamed Triaditsa. It became part of the First Bulgarian Empire (632/680 – 1018 AD) in 809 AD when it was conquered by Bulgaria’s Khan Krum, and was known by its Slavic-Bulgarian name Sredets until the 14th century when it took the name of the St. Sofia Basilica. The Sofia Largo is the architectural complex of government buildings in downtown Sofia erected in the 1950s, in the early years of the former communist regime. Regardless of their Communist Era architecture, today the buildings house the most important Bulgarian government institutions and are one of the most famous parts of Sofia’s cityscape. Parts of the ancient city of Serdica, which have been excavated, can be seen in the underpasses and the Serdica Metro Station right next to the Sofia Largo.